These days you can't go anywhere without someone talking about coconut oil. I swear coconut oil is taking over the world and whoever started this movement is pure genius as a decade or so ago, coconut oil was supposedly bad and really naughty for your health. 2. What am I supposed to do with such a large amount?! 3. What if I don't like it? And then what am I reallyyyy going to do with such a large amount?! 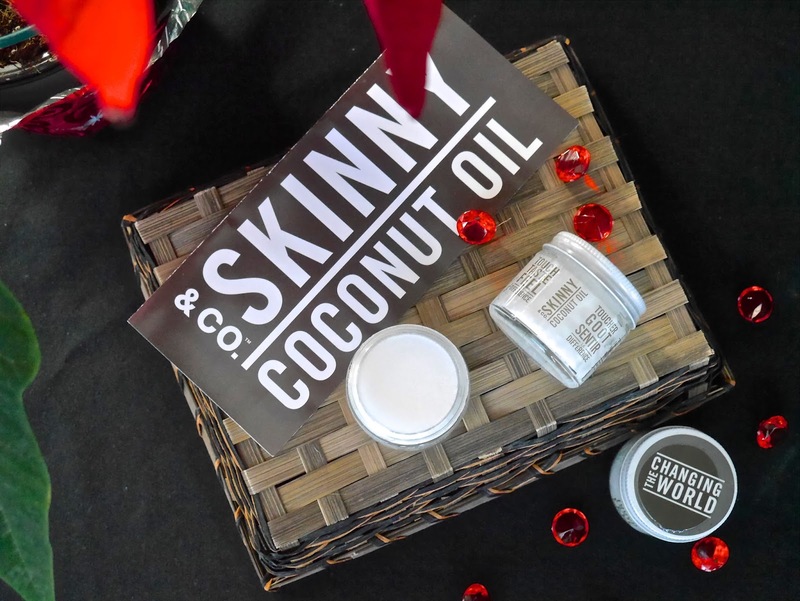 One of the perks about being a beauty blogger is sometimes opportunity comes knocking on my door at the right time and I was lucky to receive 3 bottles of Skinny & co. Coconut Oil*. 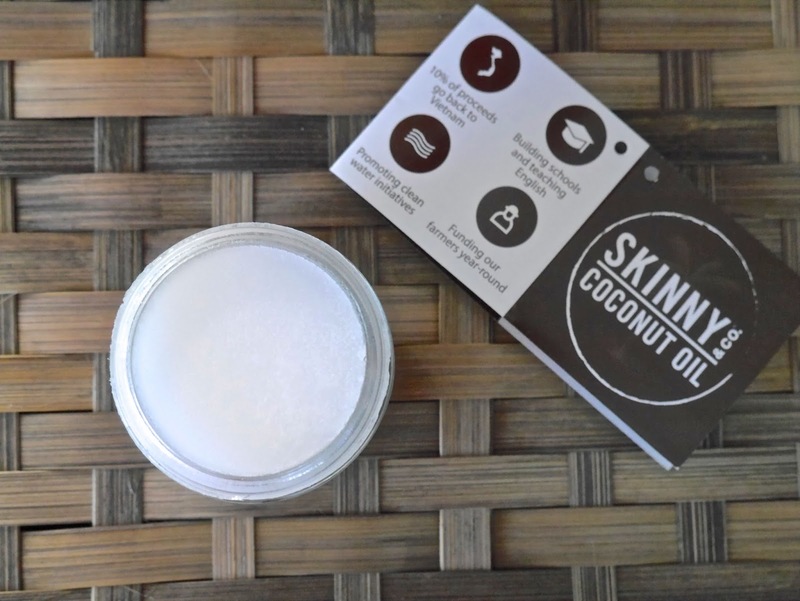 Skinny Coconut Oil is different thanks to its patent pending Nutralock System™. The coconuts are hand-picked in Vietnam and once cracked open, the coconut meat is put into the closed-loop, dehumidifying Nutralock System™. This extracts the moisture without heat, leaving all of the raw nutrients of the coconut intact. 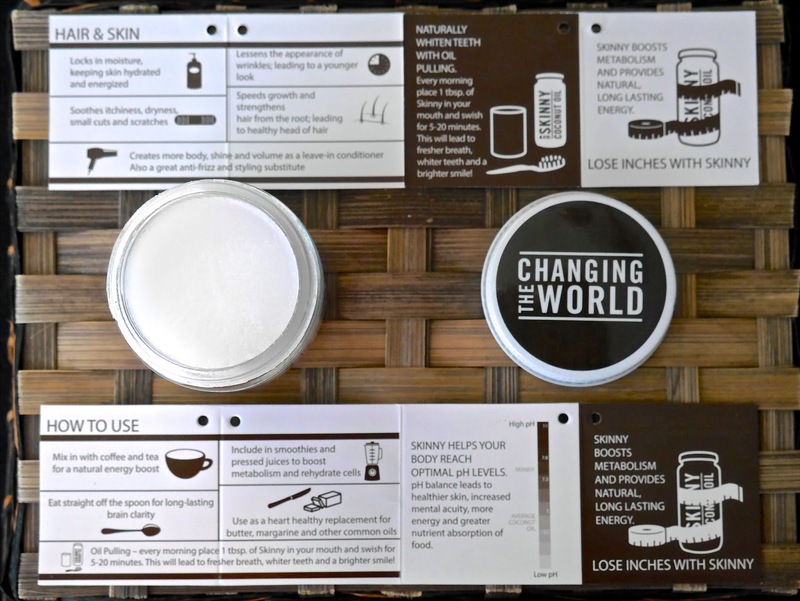 They are also behind #changetheworld movement where they give back 10% of proceeds to Vietnam for building schools, teaching English and to fund year-round farming. 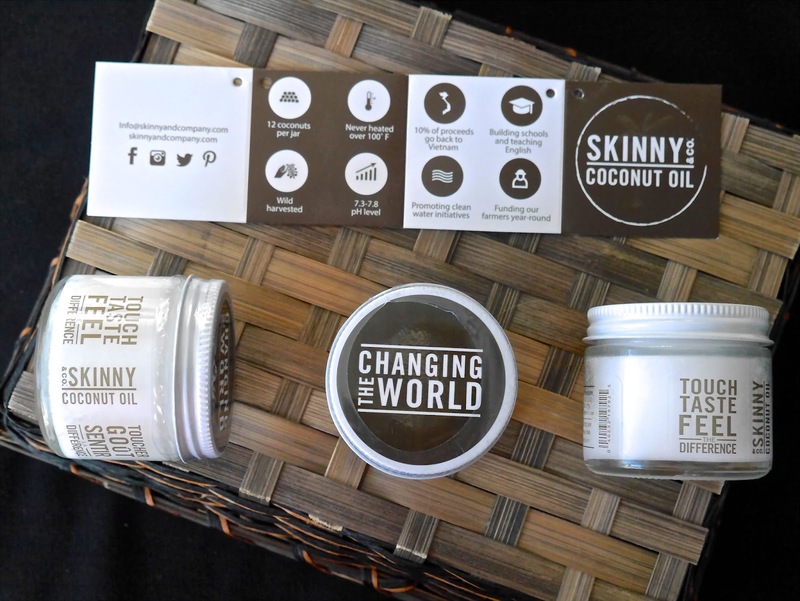 On top of all that, Skinny Coconut Oil also recycles all materials, donated empty jars to artists, gardeners, and US schools for creative repurposing and implements outreach efforts to their customers to reuse or recycle the glass product. The texture of this coconut oil is a smooth, white solid balm when in the jar but it melts into oil upon touching the skin. 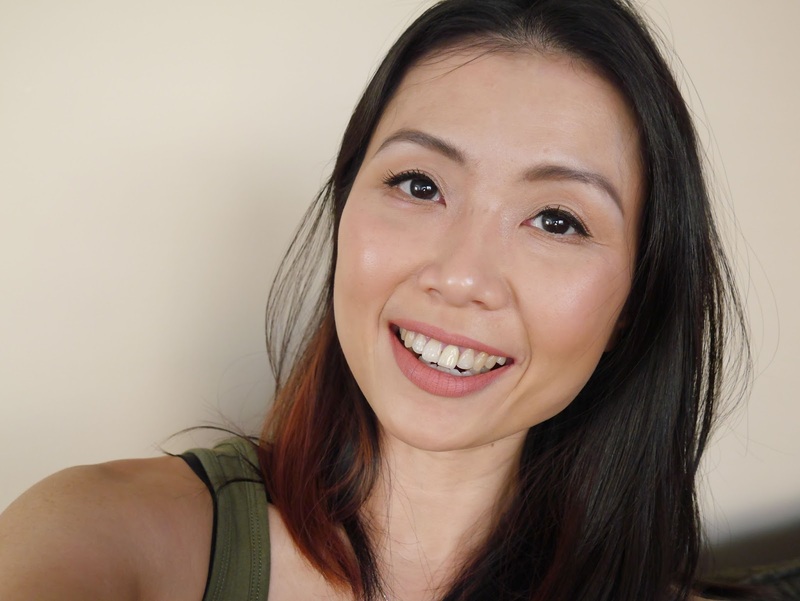 I have been using this to remove my makeup every night and it made a whole world of difference to my skin! I have been suffering dry, flaky skin around my mouth and after using this oil for 3 nights, my skin is back to normal. Not only does it makes a great makeup remover, my skin feels and looks really smooth and refreshed with it. It is safe to say I am a full convert and have 100% hopped onto the coconut oil bandwagon. Another bonus is Skinny & co. has a huge variety of products ranging from lip balm, body scrub, body butter and many more! Check out more about Skinny & co. by clicking here. Do you incorporate coconut oil in your daily life?